Have you gone to the grocery store for milk and eggs and come home with steak and eggs? Have you ever been tempted to buy something just because it was on sale? Impulse spending can wreck your finances and is a major reason why most people have difficulty saving money. Learning why you buy on impulse can be the key to saving more money. Why are you saving money? Understanding why you are saving money is just as important as learning about what types of things you spend your money on. Do you have long-term savings goals like a home and retirement? 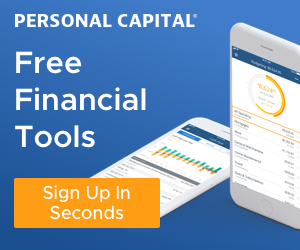 Are you able to sacrifice short-term desires like that vacation to Europe so that you can meet your long-term savings goals? Our spending behaviors are very often tied to our emotional needs. You don't believe me? 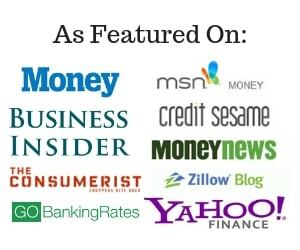 Just take a look at media advertising in magazines and on television. Advertisers are very skilled at trying to convince you that their product or service will fill a need and it usually has an emotional component. People act on emotion, why do you think car salesmen will do just about anything to get you to sign that sales agreement on your first visit? Emotions are highest and you are more likely to pay more since you have not had the time to comparison shop with other car dealers. By recognizing what triggers your impulsive purchases you can try to avoid those triggers. Everyone knows that it is not a good idea to do your grocery shopping when you are hungry because statistics show many shoppers make impulsive decisions on which foods to buy. Researchers have discovered a hormone called grehlin that increases hunger and believe it or not, researchers believe it makes food look more appealing. According to Wharton Marketing Professor David R. Bell, young single shoppers are 45% more likely to make unplanned purchases. Another telling statistic is that 88% of all impulse purchases are made because the item is on sale. Another reason most impulse purchases are made is because shoppers feel angry, stressed, guilty, or bored. Ask yourself what will you be willing to give up in order to make this purchase? 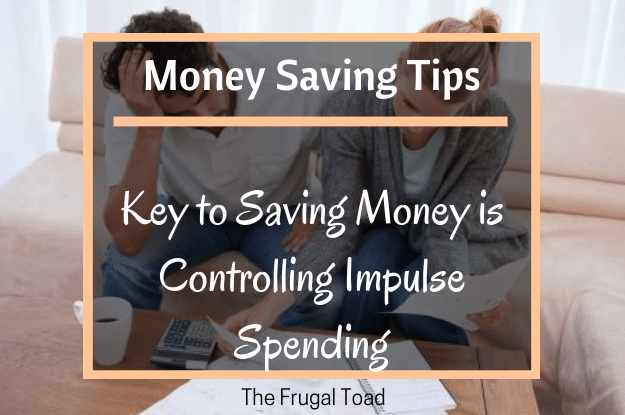 Your success in saving money is at odds with impulsive spending decisions so it is important to understand what your triggers are and to avoid them. The best way to identify what your triggers are is to look at your bank and credit card statements. Place a check next to each purchase that was not planned. The next step is to figure out what triggered your decision to buy that item. If you find that you are making impulsive clothing purchases at the same department store, avoid that store or limit your ability to overspend by using cash. By identifying your own spending triggers and avoiding them you can increase your ability to save money for your long-term goals. What are your impulse shopping triggers? Are they preventing you from saving money for other things? Anything that effects how you are feeling emotionally will potentially impact spending and consumption habits. Understanding what influences our own decision making process is important if we are to change it. Thank you for sharing! I’m bipolar and quite young so I find myself spending pretty much any money I get any month on god knows what, I’ve honestly racked myself up to debt and not being able to buy food due to my out of control habits. Bipolar naturally includes impulsive buying but I wasn’t fully aware that most ‘normal’ people shall we say, go ahead and do the exact same thing! for me it’s like an itch I can’t control and I can’t get it out’ve my system at all, I spend alot of my money on ‘geeky things’. such as comics that are waaay too expensive or merchandise and recently I’m moving into my own house and haven’t even saved up 900 pounds, I have got to 950 before atleast three times but seem to drop straight back down to anywhere between 200-400. I thought it was hopeless but this has helped me quite a bit!, Like more than CBT therapy does, I do agree it’s to do with emotions rather than actual [wants]. it’s more of a [need] at the time depending how high my stress/guilt/euphoria levels are. Thank you so much for your helpful tips!!. I find sticking to a list when I’m shopping to work the best for me. If its not on the list I spend much less than when I go to the store without one. I’m guilty of impulse buying 🙁 I also like your idea of eating snacks before shopping. whenever we go out with the kids, eat end up spending more on restaurant foods than what we have bought in grocery. It’s not rocket science, spend less than you make and if you do not make enough, cut spending or look at ways to increase your income. I totally agree with what you said in this post. Impulse spending is what stops most people to achieving their savings goals. No wonder that some grocery stores keep coupons at the front to entice those who love to spend on things that they don’t need. I always make a list before visiting a store. That habit has helped me curb my spending a great deal. Lists are an easy way to keep you from straying while shopping. I write a list and I stick to it. I also ask myself if it’s a need or a want and if I could definitely live without the item. It was not easy at first, but it soon became the norm. I’m right there with you MC. What helps me with the grocery store is to bring a list with me, I rarely overspend that way. My knees go weak after 30 minutes of window shopping! I try to avoid window shopping at all, because I’ll invariably find something I want…and it’s usually something dumb. My main trigger is just being hungry. When I’m hungry, I’ll super size anything! I’m pretty good at avoiding buying retail stuff after years of practice, but food shopping can be a killer if I do it hungry. Definitely always eat before you shop! It’s also a good idea to shop without the kids if at all possible. My daughter would be happy if all I bought was donuts! Sticking to a grocery list can be a difficult thing… it’s a good thing my wife does most of it because I would probably come home with extra snacks or drinks. I found in the research that is a huge one for many women Marissa. Now that you recognize that trigger now you can manage it’s effect on your spending. It seems so simple, just buy what is on the list. Stores are designed to make that task a little bit of a challenge. Not making a list and sticking to it has been one of my biggest struggles with impulse purchases. Like Jai, I’m also a victim of infomercials! Impulse spending can occur any where from grocery to target/walmart to malls. If you cannot control your spending, you can start racking more credit card debt really fast. These types of spenders need to not carry credit cards so that there is no way to buy items that they really don’t need. Stress triggers impulse shopping for me. I am working on it but avoiding my wallet anytime I feel stress. One problem with living in a city is there is usually a Costco nearby, we can never get out of there without spending less than $400. I try to stay away from malls, after 30 minutes I break out in hives. We moved to a small town with no mall, so that eliminated most of our impulse buys. We like to window shop, but sometimes you get sucked into getting that ‘one thing that you really need’…but it’s really just an impulse buy. I rarely visit a shopping store now unless I m going for a specific purchase. It has helped enormously with all the impulse shopping I used to do. And it’s also helped us pay off a huge amount of our debt! Can’t agree more Eric. Controlling impulse buying is about changing habit. We could have done a joint post, since both of our latest ones go hand in hand!. This is something the advertisers salivate over: people who can be easily influenced and are receptive to the triggers in ads. I’ve read somewhere that most triggers–whether it be shopping, smoking, drinking, eating–are subconscious in nature, and that you can’t hide from them all unless you live in a cave. Certain places, smells, images can trigger a a behavior or feeling and you may never know exactly what it is.